The more I talk with people about onboarding, the more I learn about what people assume about the process. Let’s set the record straight, and shed some light on 3 common onboarding misconceptions, and provide some clarity. Misconception #1 – Onboarding and Orientation are interchangeable terms. You know the expression, “All Kleenex are tissues, but not all tissues are Kleenex”? Same concept. Orientation is an event. Onboarding is a process. Orientation is a part of Onboarding, but not all Onboarding activities are Orientation. If you are the owner of the onboarding process in your organization, please understand that semantics matter. How you define your process matters. How you present that process to your stakeholders matters. To many, this may seem like it’s splitting hairs, but I assure you, it is not. Misconception #2 – Onboarding is HR’s job. Sure, maybe HR owns the onboarding process for your organization. This is certainly the case for many companies. And maybe someone from HR even facilitates New Employee Orientation. That’s fine. Let’s be clear, however: HR should not be the only ones involved in a new employee’s onboarding. There are a number of other stakeholders – IT, departmental leadership, support staff, and others – who play a significant role in the successful assimilation of a new employee. If you are a hiring manager, the importance of your role in the onboarding process cannot be emphasized enough. Yours is the most crucial. Your new team member needs you to set expectations, remove barriers and provide guidance during those first weeks on the job. Misconception #3 – Onboarding doesn’t begin until after a new employee starts the job. The pre-start or “preboarding” phase is an often-overlooked span of time during the employment lifecycle. This phase begins when the offer is accepted and lasts until the employee’s first day. During this time, the incoming employee is often tying up loose ends with a current job (fulfilling that two-week notice! ), relocating or otherwise preparing for the new opportunity with your organization. What can you do to engage and educate an incoming employee during this time? Since you can’t exactly give a new employee proprietary material or system logins during this time, you will likely rely on cultural, industry or general information to point the incumbent in the right direction. You can also connect socially – either via social media, like LinkedIn or Pinterest, or in person…the hiring manager could meet the incumbent for coffee or lunch, and become acquainted and begin discussing the transition. 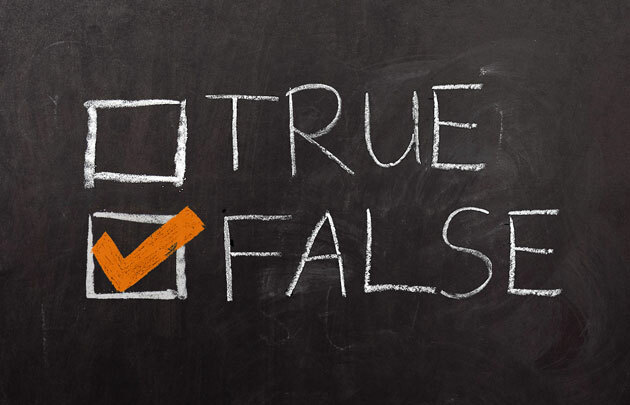 Your turn: I’d like to hear from you, fellow onboarding professionals: What onboarding misconceptions have you had to clarify in your organization? How have you communicated the onboarding process to your stakeholders? Take a moment to share a comment below! Like this post, or know someone who would? Please share it with your friends and followers! If you’d like to receive weekly inspiration directly in your inbox, simply enter your email address above to subscribe. You’ll be glad you did! Hi Michelle–great post! The most common misconception I’ve had with my clients is the confusion between having an onboarding program and having well-defined (and managed) onboarding business processes. I’ve seen organizations with good process and bad programs, and organizations with great programs not based on any business process. The root of the disconnect here is usually what you cite as misconception #1: a great orientation program does not mean you’ve implemented good onboarding business process. Similarly, just because you’ve bought and implemented some onboarding automation doesn’t mean you’ve perfected your onboarding processes. Hi Chuck – thank you for sharing your insight! I couldn’t agree more. You mentioned something that has always kind of bugged me – software programs that refer to the automation of paperwork/process as “onboarding”. It implies that you can “set-it-and-forget-it” – not the case! Glad this post resonated with you. Have a great day!